The April issue of Australian Self-Publisher covers the latest news and tips to help you on your self-publishing journey. Read Ellie Marney’s article on self-publishers’ legal requirements if you’re new to the game or just need a refresher, and stay on top of those important checklists before you publish. Need some serious inspiration to keep you going with your particular passion or project? Then our interview with author Helen Prochazka about her fully illustrated coffee-table maths book for adults, The Mathematics Book, might do the trick. We also introduce freelance writer and self-publishing advice guru Claire Bradshaw, who shares her top five tips to help you get those all-important book reviews and give your book a wider reach. 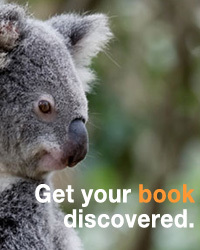 Speaking of exposure, due to popular demand, you can now book advertisement spots in the Australian Self-Publisher newsletter and on our website! If you are interested in promoting your work or service to a wider audience, or would like more information on ad bookings and pricing, email us at advertising@thorpe.com.au.